INS-ULA-TION!, originally uploaded by berkeleygal77. I-N-S, U-L-A, T-I-O (draw this one out)-N! 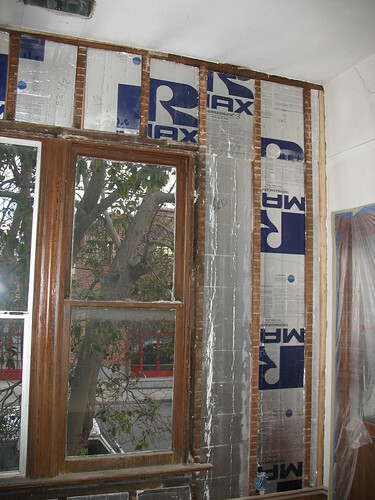 I love rigid foam insulation! This means that the sheetrock (or is it sheet rock?) can go up this week. Plus, my contractor is promising me numbers on the kitchen cabinets by Wednesday evening. So then I can decide. Things are getting going again.